Until now, the iPad Air was the largest Apple tablet, having a screen with a diagonal of 9.7-inch. There were many rumors regarding another tablet with a much larger display, created especially for professional users, business people who work with documents and presentations. 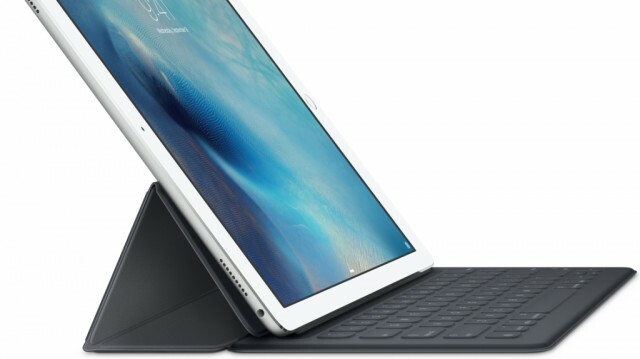 We were hoping to see this rumor materialized and we were more than happy when Apple has unveiled the iPad Pro, which is more than big tablet with a screen that measures almost 13-inch, as it can be transformed into a laptop, just like Microsoft’s Surface Pro 4 premium tablet, by attaching a physical keyboard to it, which in this case it’s called “Smart Keyboard”. In addition, the iPad Pro supports a stylus called “Apple Pencil”, but it’s not included in the box, so you’ll have to buy it from Apple’s online store. A few months before the official release of the iPad Pro, the rumors have intensified and they were pretty credible because they were coming from reliable sources, which were telling the same thing. At first, we were a bit skeptical, but once all rumors were homogenized down to a final list of specs which have been confirmed in September, when Apple has introduced the iPad Pro at its event which was held in San Francisco. So, seeing the iPad Pro side by side with the iPad Air 2, in the presentation at the Apple event, we were able to see the difference in terms of their size. But we haven’t noticed any significant difference regarding the design, because the iPad Pro looks like a combination between the iPad Mini and iPad Air 2, featuring a simple aluminum back which is curved on the edges, while the front panel is either black or white and has a home button below the screen, which hides the fingerprint scanner. Apple has added a speaker on each of the four corners which are located next to a capped resonance chamber and they offer prominent stereo effects. You’ll love watching movies and listening to music (Apple Music, for example) with them. Microsoft has a cheaper keyboard called Type Cover which can be purchased from the official website at a price of $130. If you think this is a high price, then what do you say about Apple’s Smart Keyboard, which costs $169? Apple scaled it to fit the tablet, but it’s a bit thick and it connects to the iPad Pro using the Smart Connector which folds out. If you want an alternative and cheaper solution to the Smart Keyboard, then you can buy the keyboard case which was created by Logitech and which costs $149. You don’t need to be an artist to draw with the Apple Pencil. You can use this tool to take notes directly to the screen or you can create subtle shading and make all kinds of artistic effects. Scott Belsky, vice president of Products at Adobe said that with this pencil, you are able to “mnipulate a 50-megapixel image right on iPad Pro in Photoshop Fix and then send that image to Photoshop CC on a desktop, for further refinement”. The pencil has almost a perfect precision, it looks cool and has an average weight, but you will need to replace the hard plastic tip on the end, which will deteriorate over time. On this pencil you’d need to pay $99, while Microsoft has included it into the box, being available for free for the Surface Pro 4. The screen is a LED-backlit IPS LCD sized at 12.9-inch, which supports a resolution of 2048 x 2732 pixels (5.6 million pixels), giving a pixel density of 264 ppi, but, in reality, it’s spectacularly sharp. On top of it was added a layer of scratch-resistant glass, so, you won’t need to worry about this problem. The large screen will be excellent for multitasking and you’ll be tempted to test one of the three features which have been introduced in iOS 9: Split View, Slide Over and Picture in Picture. The iPad Pro is using the latest Apple A9X dual-core 2.26 GHz (Twister) processor which offers a better performance than 80 percent of the laptops that have been released in the past year. The tablet carries 4GB of RAM onboard, which is more than any other Apple device, so it can easily handle intensive tasks, such as 4K video editing. Other components which haven’t been detailed extensively by Apple are: 2 x Broadcom BCM15900B0; NXP Semiconductors 8416A1 Touch ID Sensor; Parade Technologies DP695 Timing Controller; Texas Instruments TPS65144 etc. The battery is non-removable and supports a capacity of 10,307 mAh (38.8 Wh), supporting up to ten hours of talk time. The internal memory is available in two variants of 32/128 GB, but there’s no microSD card slot for expansion. Don’t be too excited about the cameras of the iPad Pro, which have resolutions of 8MP and 1.2MP respectively. Many features are missing, such as LED flash or OIS, but the images are not necessarily of a low quality.